"For spring, Tiffany's favorite is the warm shredded Brussels sprouts salad. Get the recipe." Warm shredded Brussels sprouts salad. Favorite GadgetMy Life Factory glass water bottle. Easy to carry, clean, and comes in fun colors. I am never without it. Tiffany is a registered dietitian nutritionist and New York State-certified dietitian/nutritionist. 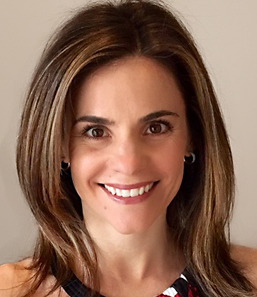 Prior to joining Lara Metz Nutrition, she began her career in private practice with Nutritious Life, a nutrition counseling practice founded by Keri Glassman, MS, RDN, CDN. Emphasizing an individual and “whole-person” approach to health and wellness, Tiffany works with clients to find the foods that they enjoy and will help them to feel their best. Her goal is to help clients get excited about good nutrition, feel empowered in their choices and discover the connection between healthy food and the way they feel. Tiffany’s interest in nutrition stems from her former career as a dancer as well as the history of heart disease that runs in her family. As she began to learn about eating for heart health many years ago, she discovered first-hand the power of how healthy eating can impact mind, body and spirit, which in turn made a profound impact on her dancing. This laid the foundation for her passion for nutrition, which she now endeavors to inspire in her clients. Tiffany holds a master’s degree in Nutrition from Brooklyn College, City University of New York and completed her dietetic internship with NewYork-Presbyterian Hospital. She received her BFA in Dance Education from the University of the Arts in Philadelphia, PA. She holds a specialty certification in Adult Weight Management with the Academy of Nutrition and Dietetics (A.N.D.) and is an active member of the A.N.D. as well as the Greater New York Dietetic Association. Additionally, she belongs to the Sports, Cardiovascular and Wellness, Nutrition Entrepreneurs, and Dietitians in Integrative and Functional Medicine dietetic practice groups. Tiffany lives in New York City with her husband and daughter. She enjoys staying active by going to the gym as well as taking Bikram yoga and dance classes. Tiffany is not only an amazing nutritionist but a cheerleader as well. In a positive way we focused on the foods that I like to eat and she never said you can’t eat this or you can’t eat that…it took me 5 days to realize I didn’t eat any bread or pasta! She taught me to eat more healthy and portion control in such a positive way I now share with my husband and kids. I travel a lot for work so she helped me manage healthy eating on the road and on long plane rides. I also entertain a lot with clients so we focused on the right choices while dining out. It wasn’t a diet that I went on its a way of life and 2 years later I still hear Tiffany’s voice saying, “If you are still hungry you can always have more vegetables!” And it makes me smile because it’s true. I have more energy and feel less tired than I have in years! Tiffany is the best!